Fun resort community family condo. 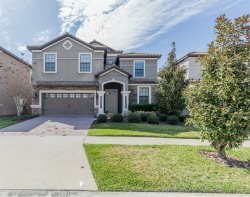 Located in Windsor Palms Resort, a super clean community within 5 miles to Disney Parks. Resort Clubhouse with shopping, tiki bar, heated resort pool and spa, gym, game room. Resort amenities. No resort Fees!